each painted on the lower section with archaic bronze style taotieh masks between stylized animal heads, the centre bulb with three further taotieh masks and the top bulb with three archaic style characters in white on blue-ground roundels beneath lappets on the cylindrical tall neck, all between underglaze blue double lines. 9 7/8th inches, 25.1 cm high. Price on request. Formerly in the collection of Richard Bennett, Esq. 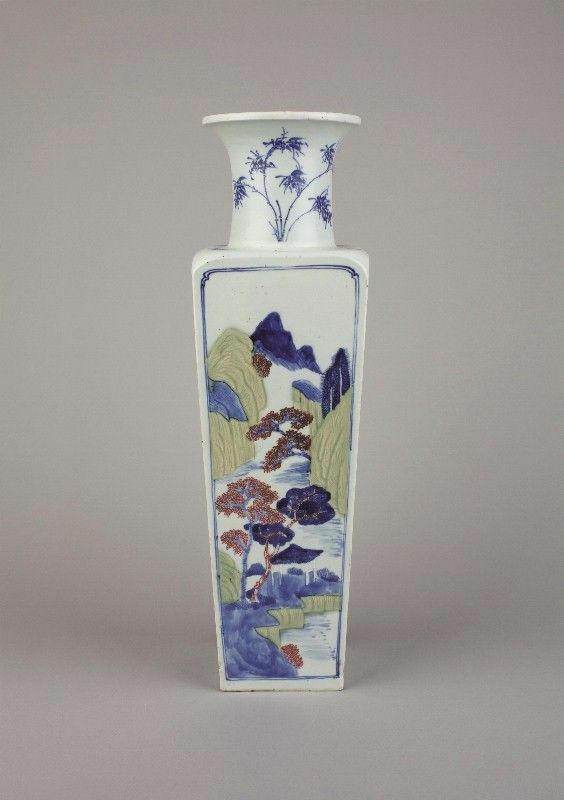 Included by Gorer in The Catalogue of the Collection of Old Chinese Porcelains, formed by Richard Bennett, Esq., Thornby Hall, Northampton, 1911, no. 16, p. 5. 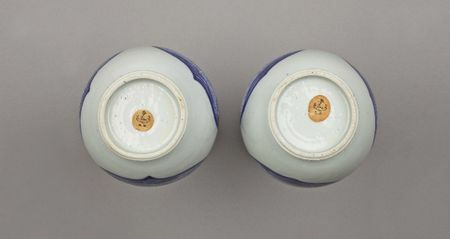 An identical pair, from the W.J. 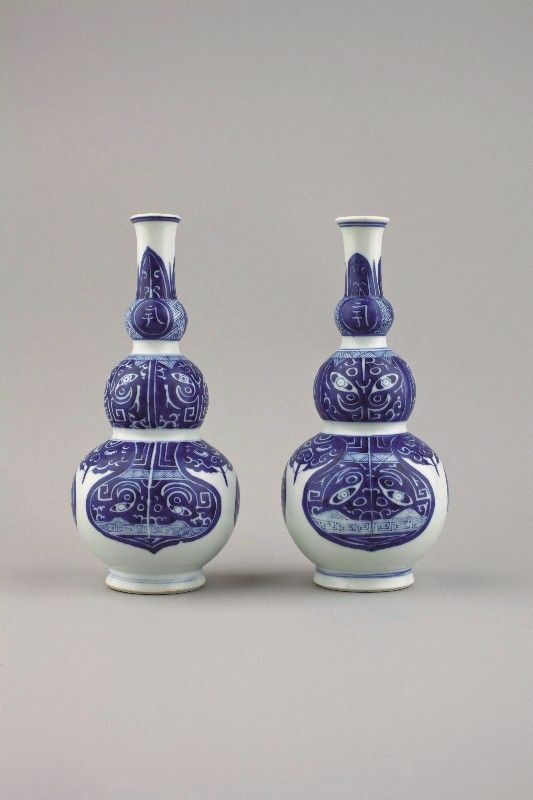 Holt collection, is illustrated by Hobson, Rackham and King in Chinese Ceramics in Private Collections, London 1931, Fig. 256, p. 145. 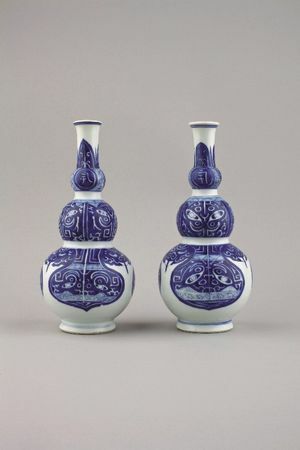 A similar larger vase is illustrated by Wang Qingzheng in Kangxi Porcelain Wares from the Shanghai Museum Collection, no. 58, p. 90; one of a similar pair is illustrated by R.L. Hobson, C.B. 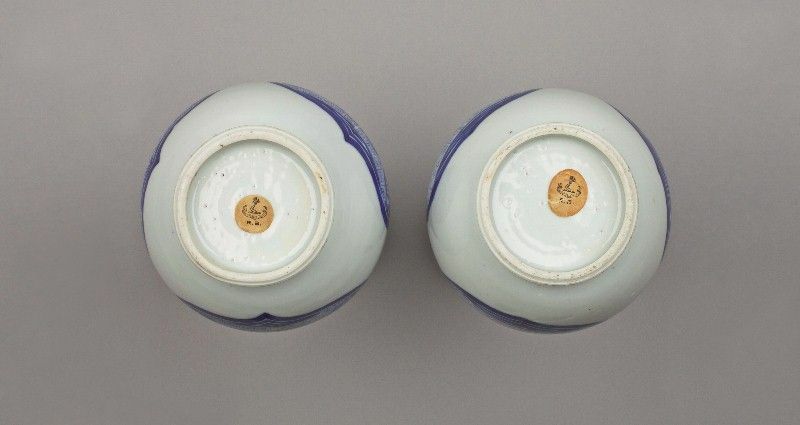 in The Catalogue of The Leonard Gow Collection of Chinese Porcelain, no. 52, colour plate XV, p. 16.